The Illinois Institute of Technology has implemented a suite of security products for video surveillance management and access control. The institute has adopted CS Access door access control technology, the Odyssey PCS campus card system, and Odyssey HMS housing management software from Cbord Group, as well as NiceVision intelligent video technology from Nice Systems. The institute, which has five primary campuses, is using the new access control system to streamline assignment processes. When a student is assigned to housing or an employee to a new position, the corresponding applications are automatically updated, granting access privileges and assigning schedules without the need for staff intervention. "CS Access is easy to use and communicates well with other solutions across campus," said Nima Nemaei, manager of technology services for auxiliary services at the institute. "Our old process for granting access assignments was full of opportunities for human error. By removing the step of manually granting access with individual transactions, we save time and greatly reduce the potential for mistakes." 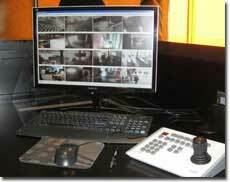 The school is also deploying NiceVision, a video surveillance system that integrates with the access control products. 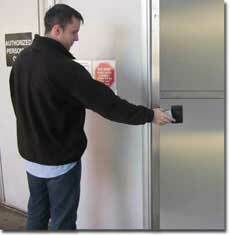 This integration allows staff to manage access control, alarm management, and video surveillance from a single console. "The integration will give us a complete picture of an incident in one place," said Nemaei. "We will have access logs, alarm information, and video tied together without having to gather data from various systems and piece it all together."